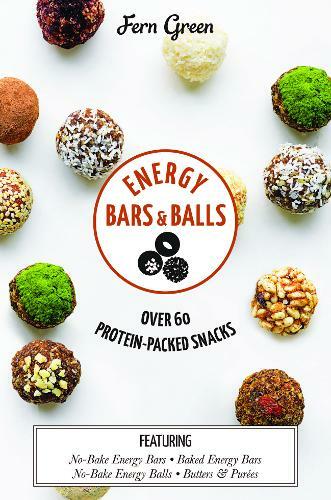 Energy balls and bars are the number one snack. They are full of superfoods and can be easily made at home. With health benefits in mind, all these recipes are dairy-free, mostly gluten-free, cooked, raw and packed full of protein. The punch comes with the ingredients: chia seeds, hemp seeds, oats, quinoa, almond butter, walnuts, cacao, carob, coconut oil, goji berries and dates. All are rich in vitamins and minerals and can help boost the immune system as well as have anti-inflammatory properties. Each recipe helps boost your body's natural defences, giving it the protein it needs to keep the body functioning at its very best. These energising snacks are cheap and easy to grab on the go, as they can be packed in a lunchbox for work, school, travel or when exercising. And if you have too many, they are easy to freeze for later. What more could you ask for in a little snack? The recipes in this cookbook are simple and presented simply. You can immediately see all the ingredients you will need laid out, check the preparation time and quickly scan the method.